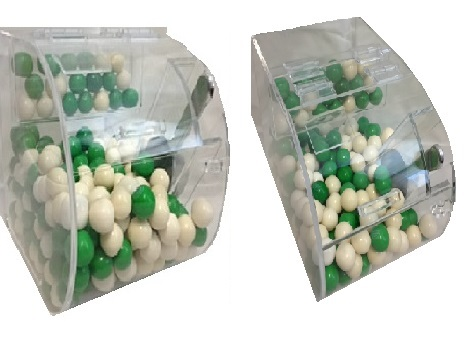 Dazzle customers and boost profits with the crown jewel of acrylic dispensers. 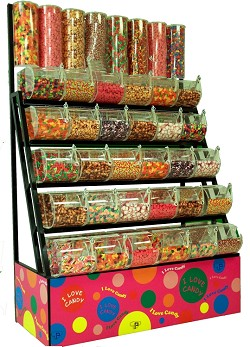 The Acrylic Round Faced Bin makes an excellent display for your candy counter. 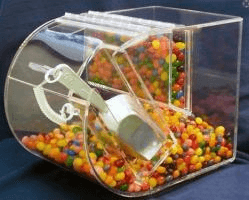 Stylish enough to use not only for candy, but the acrylic bin can also be used for art supplies, hardware and other small retail items as well. The bin comes with a scoop and tether so customers old and young can serve themselves and you won't lose the scoop. Acrylic containers are a safer alternative than glass products. Scoops with tethers are health department approved for sanitary reasons. Be creative with what you display, your customers will love you for it. 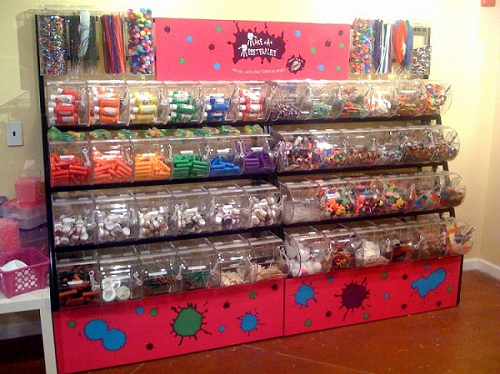 Buy this incredible candy container today at Candy Concepts Inc.